MG Motor is set launch its first car for India in the second half of 2019. Based on the images teased by MG, we know that it will be a fairly large SUV that'll be bigger than the Honda CR-V. More importantly, we also know that it will competitively priced. We also know that will be powered by a 2.0-litre diesel engine. A petrol engine has not been confirmed yet but MG did hint at either a 1.5-litre or a 1.8-litre petrol powerplant that could be introduced at launch. But what we didn’t know was when we'll get to see the SUV for the first time. Sources close to the company revealed to us that the India-spec SUV could be unveiled as soon as April-May 2019. MG has also confirmed that it will be showcased as a five-seater SUV and will be launched in the same configuration in India. In addition, a seven-seater option will also be launched, but a few months after the five-seater one goes on sale. 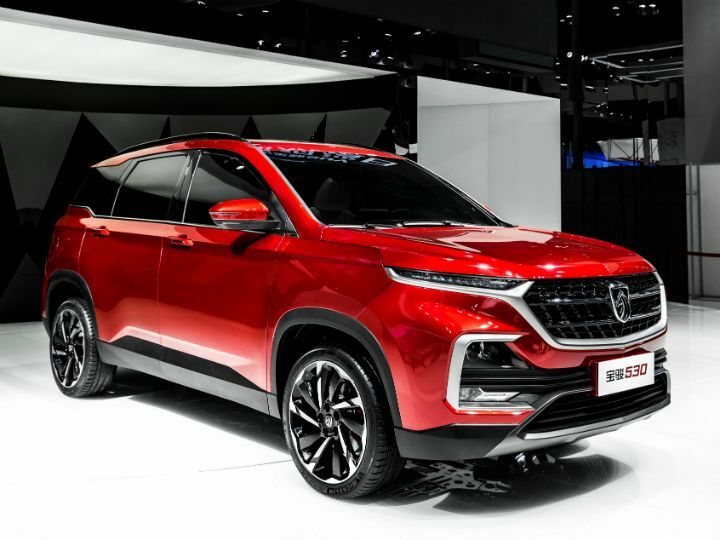 We had a chance to get close to the MG SUVs and we can safely say that the Baojun-based SUV will be a premium product in its segment and is likely to offer premium interiors with soft-touch plastics, a touchscreen infotainment, bucket seats, leather upholstery and electrically adjustable driver’s seat. Also, did we mention MG seems to have a thing for sunroofs?